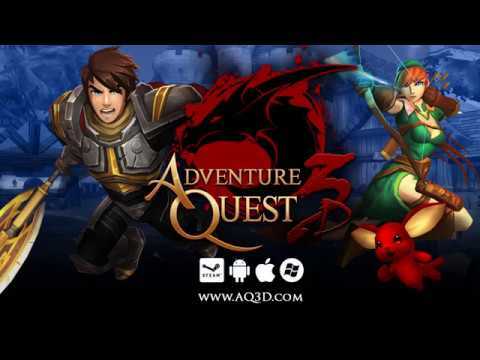 AdventureQuest 3D is a Free-to-play, true cross-platform fantasy MMORPG, Mobile Action Game from the creators of the original 2D Flash web game Quest online. Explore an ever expanding world with new areas, monsters, items, adventures and quests added regularly. AdventureQuest 3D is a F2P, fantasy MMORPG and the sequel to the 2D browser RPG AdventureQuest, evolving two dimensions into three. Players are not tied to a single class, but can change between unlocked classes at any time; from Warrior to Mage or Necromancer to Paladin, players are given the freedom to decide what class works best in the moment. Explore the world of Lore, brimming with terrifying dragons, undead hordes, and colorful magic. Play the same character from multiple devices on the go, whether on your Android phone, tablet, iPhone, or on a Mac computer. Gameplay is designed to be experienced in quick bursts, allowing players to make the time pass as they wait on line. Party up with your friends with an easy system that lets players group with only two quick taps to summon or be summoned by a friend.